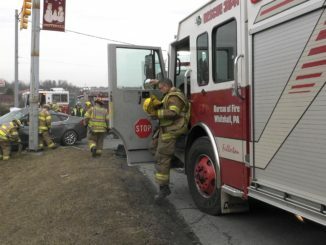 Late Thursday afternoon, Lehigh County Fire Radio transmitted the rescue box for the 400 block of Race Street for an auto extrication sending Catasauqua Rescue 241, Engine 211, EMS 75 and Police. Chief 203 arrived and confirmed a car on its side and another with heavy damage. 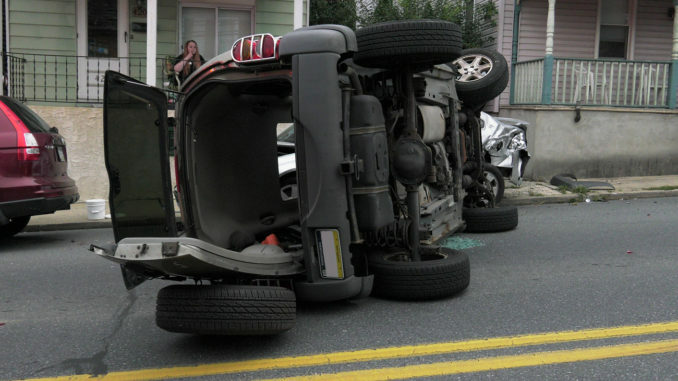 The female driver in the SUV on its side was confined and removed by the fire department and medics without the need for hydraulic tools. The SUV hit two parked cars. 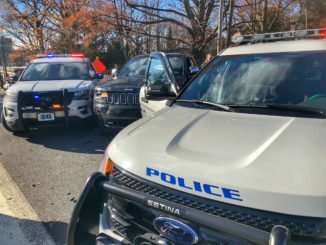 Race Street was closed in both directions while the scene was cleaned up. 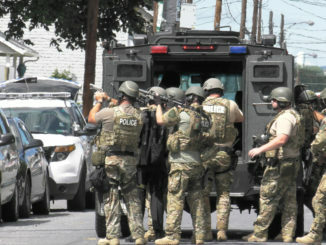 RAW VIDEO: Lehigh County SWAT apprehend wanted person in Catasauqua, PA.